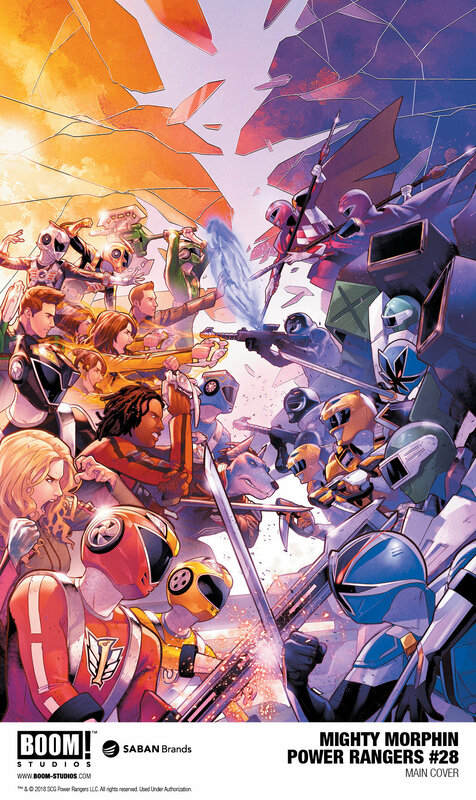 POWER RANGERS: SHATTERED GRID, available at comic shops in June 2018. 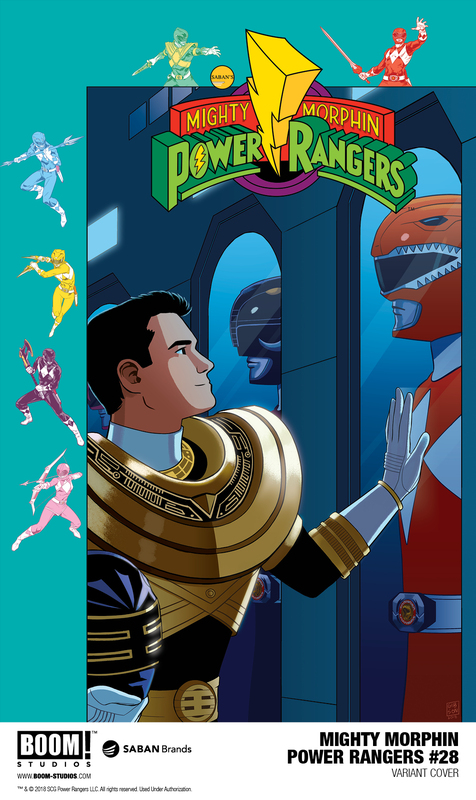 As the battle rages across time and space, the Mighty Morphin team must form new teams to battle Lord Drakkon - a twisted, alternate-reality version of Tommy Oliver, the Green Mighty Morphin Power Ranger - while the Ranger Slayer, a mysterious new Power Ranger, debuts a new Zord! 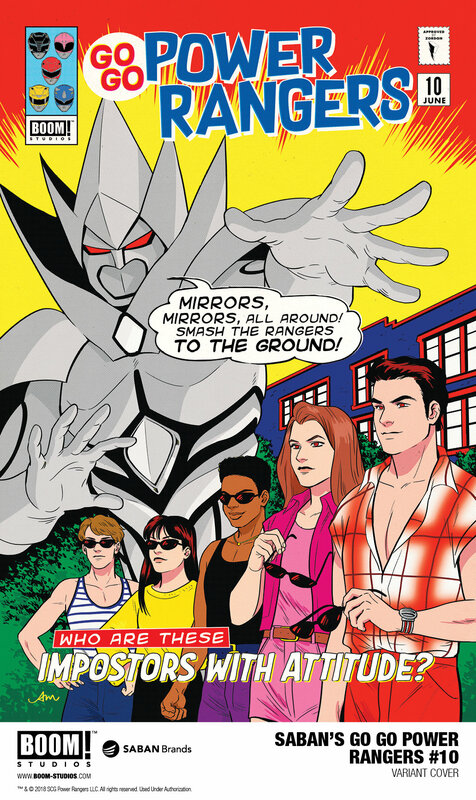 In Mighty Morphin Power Rangers #28, from writer Kyle Higgins and artist Daniele di Nicuolo, The Mighty Morphin team splits into two strike forces—one with RPM and one with Time Force—to battle Drakkon across worlds...even as all hope seems lost! This issue features a main cover by Jamal Campbell (Green Arrow), with variant covers by Jordan Gibson (America) and Carlos Villa (Lockjaw). 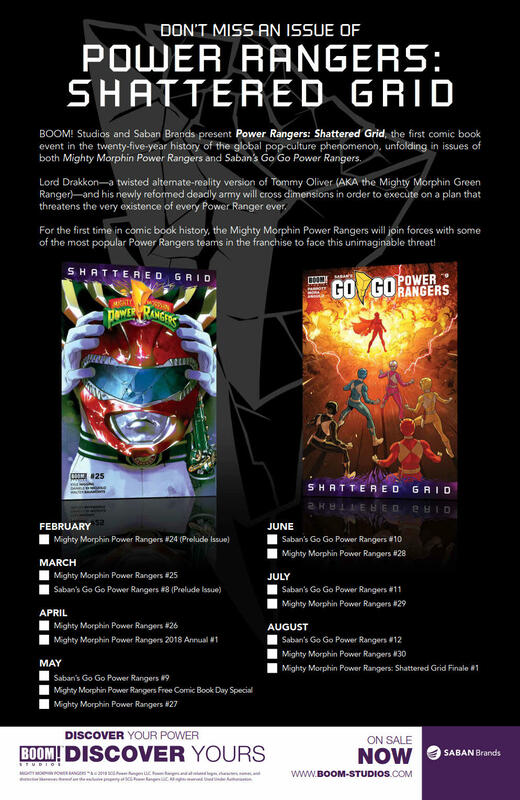 Mighty Morphin Power Rangers #28 and Saban’s Go Go Power Rangers #10 will be ON THE SHELF June 2018. 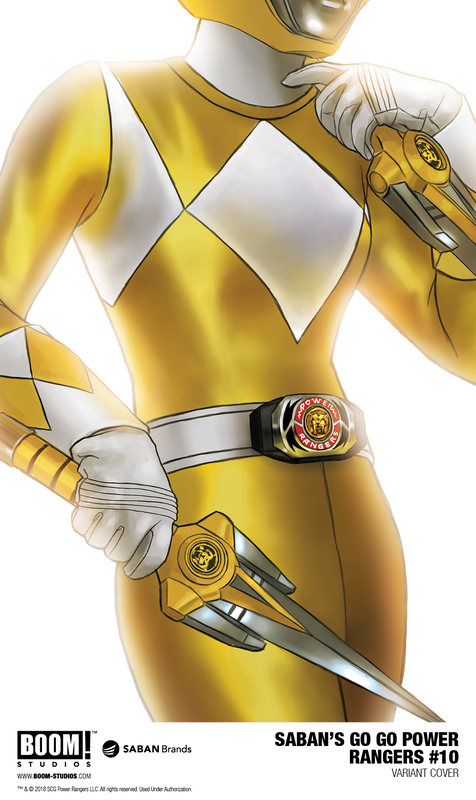 Are you a fan of The Power Rangers? Let us know in the comment section below. 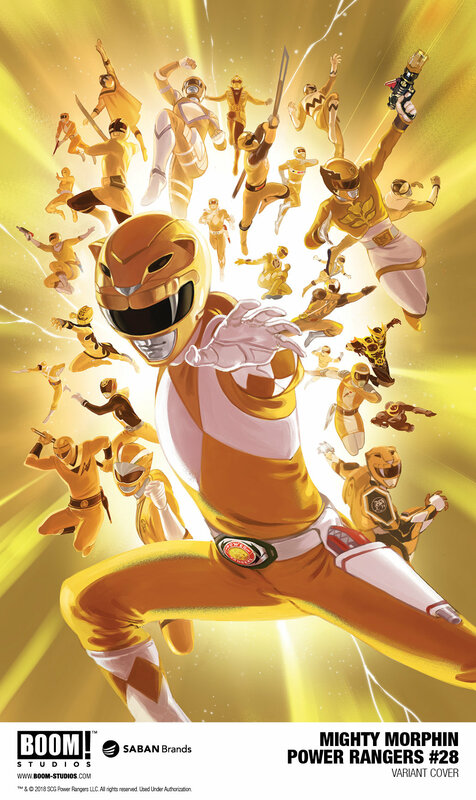 Also, don’t forget to like, share and subscribe to all things Constant Collectible in order to keep you up to date with all the news & reviews from the world of GEEK CULTURE.